The new guidance does not present new responsibilities, but it does compile and synthesize guidance from decades of enforcement actions and court cases. With this new guidance in hand, this is a good time for employers to review these issues. How Do PDA Protections Apply? An employer is not prohibited from asking about a possible pregnancy, but asking such questions may later add weight to any claims of discrimination. If a pregnant employee requests accommodation—such as light duty or time off— the employer’s response must be consistent with responses to other employees who request such accommodations for other reasons. An employer may not refuse to hire or promote someone who has been pregnant (whether or not she has children). An employer must reasonably accommodate requests for flexibility, which may include time to express milk (under PDA, and/or under Affordable Care Act revisions to the Fair Labor Standards Act), and may also apply to time off to deal with a child’s health issues (under PDA, and/or under the Family and Medical Leave Act of 1993). PDA generally prohibits isolating women of child-bearing age from exposures to chemicals and other hazards (even with paternalistic good intentions), reasoning that the better approach is to provide adequate protections for all employees. PDA prohibits employers for assuming that women lack long-term career commitment in the face of possible desires to bear and raise children. Failure to meet Affordable Care Act requirements for health coverage for birth control, pregnancy, and post-pregnancy issues would also violate PDA. These can include back pain and other after-effects of childbirth, lactation, hormonal or blood pressure imbalances, and other conditions. PDA also prohibits harassment based on any of these factors. 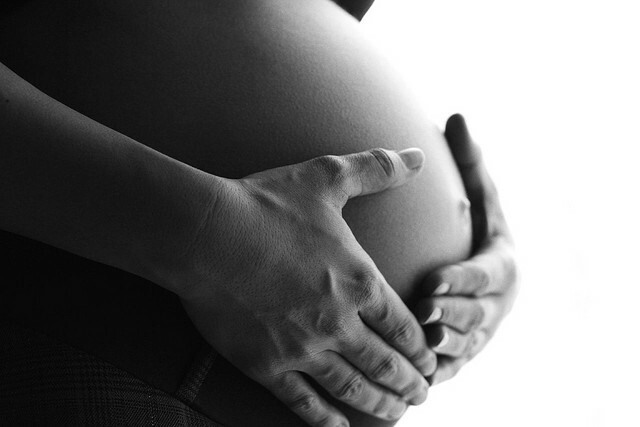 Pregnancy discrimination may also violate he Americans with Disabilities Act (ADA). Pregnancy is not generally considered an “impairment” or “disability” for ADA purposes, but if an individual employee’s condition qualifies as an impairment or disability under ADA (even for a relatively short time) then that law may apply as well. If a newborn or child is disabled, ADA would protect the parents from discrimination because of their association with a disabled person. Self-Evaluation Checklist—Does the Organization Follow Best Practices? EEOC’s new Guidance compiles a number of “Best Practices” for employers. The following Self-Evaluation Checklist reformats them in abbreviated form as questions. Develop, disseminate, and enforce a strong policy based on PDA and ADA requirements? Train managers and employees regularly about their rights and responsibilities related to pregnancy, childbirth, and related medical conditions? Conduct employee surveys and review employment policies and practices to identify and correct any that may disadvantage women affected by PDA-related conditions or that may perpetuate the effects of historical discrimination? Respond to pregnancy discrimination complaints efficiently and effectively, including investigation and corrective actions, and new preventive measures as necessary? Protect applicants and employees from retaliation. Provide clear and credible assurances against retaliation, and ensure they are enforced? Focus on the individual’s qualifications, and avoid questions about pregnancy, children, family plans, or other related issues during interviews or performance reviews? Develop specific, job related qualification standards for each position that reflect the duties, functions, and competencies of the position and minimize the potential for gender stereotyping and for discrimination, and ensure these standards are consistently applied? Ensure that job openings, acting positions, and promotions are communicated to all eligible employees? Make hiring, promotion, and other employment decisions without regard to stereotypes or assumptions about women affected by PDA-related conditions? When reviewing and comparing applicants' or employees' work histories, focus on work experience and accomplishments and give the same weight to cumulative relevant experience that would be given to workers with uninterrupted service? Document employment decisions, to the extent feasible, explain them to affected persons, and maintain records for at least the statutorily required periods? Disclose information about fetal hazards to applicants and employees and accommodate resulting requests for reassignment if feasible? Offer leave related to PDA-related conditions (which can be limited to women)? Offer parental leave (which must be provided to similarly situated men and women on the same terms)? Does it disproportionately impacts pregnant workers and, if so, is it necessary for business operations? Does the policy note that an employee may qualify for leave as a reasonable accommodation? Ensure that any workplace policies that limit employee flexibility, such as fixed hours and mandatory overtime, are necessary for business operations? Consult with employees who plan to take pregnancy and/or parental leave to determine how their job responsibilities will be handled in their absence? Ensure that employees on leaves of absence due to PDA-related conditions have access to training, if desired, while out of the workplace? Monitor compensation and performance appraisal systems for patterns of potential discrimination, and ensure they are based on employees' actual job performance and not on stereotypes about PDA-related conditions? Review any light duty policies, and ensure they are structured to provide pregnant employees access to light duty equal to that provided to people with similar limitations? Temporarily reassign job duties that employees are unable to perform because of PDA-related conditions if feasible? Adopt and disseminate a strong anti-harassment policy that incorporates pregnancy-related harassment? Incorporate into the policy and training information about harassment of breastfeeding employees? Vigorously enforce the anti-harassment policy? Develop employees’ potential without regard to pregnancy, childbirth, or related medical conditions? Provide training to all workers, including those affected by PDA-related conditions? Provide all employees equal opportunity to participate in complex or high-profile work assignments that will enhance their skills and experience and help them ascend to upper-level positions? Provide employees with equal access to workplace networks to facilitate the development of professional relationships and the exchange of ideas and information? Have a process in place to expeditiously consider reasonable accommodation requests, and grant accommodations where appropriate? Explicitly include temporary impairments, including those related to pregnancy, in any written reasonable accommodation policy? Make any written reasonable accommodation procedures widely available to all employees, and periodically remind employees that the employer provides reasonable accommodations to employees with disabilities who need them, absent undue hardship? Train managers to recognize requests for reasonable accommodation, to respond promptly to all requests, and to avoid assuming that pregnancy-related impairments are not disabilities? Ensure that anyone designated to handle requests for reasonable accommodations knows that the definition of "disability" is broad and that employees requesting accommodations, including employees with pregnancy-related impairments, should not be required to submit more than reasonable supporting documentation? (Focus the process for determining an appropriate accommodation on an employee's work-related limitations and whether an accommodation could be provided, absent undue hardship)? If a particular accommodation requested by an employee cannot be provided, explain why, and offer to discuss the possibility of providing an alternative accommodation?